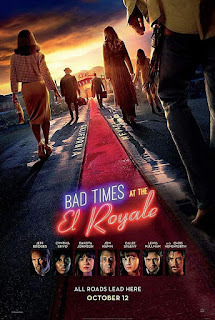 Read Anthony's review of Bad Times at The El Royale. Seven strangers, each with a secret to bury, meet at Lake Tahoe’s El Royale, a rundown hotel with a dark past. Over the course of one fateful night, everyone will have a last shot at redemption… before everything goes to hell. Jeff Bridges, Chris Hemsworth, Jon Hamm, Dakota Johnson and Cynthia Erivo lead an all-star cast in BAD TIMES AT THE EL ROYALE. 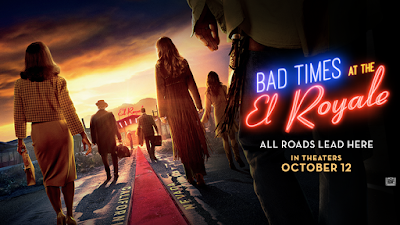 Bad Times at The El Royale is in theaters on October 12th, 2018. The El Royale is run-down hotel that sits on the border between California and Nevada. It soon becomes a seedy battleground when seven strangers -- a cleric, a soul singer, a traveling salesman, two sisters, the manager and the mysterious Billy Lee -- converge on a fateful night for one last shot at redemption before everything goes wrong. First of all I wanna say that this cast was absolutely killer, no pun intended. My favorite performance was without a doubt by Jeff Bridges, who plays Father Daniel Flynn. He truly envelops his role in this film and it does not go unnoticed. I was also so incredibly glad to see some of Chris Hemsworth’s acting chops for once! That is not to say he doesn’t do well as Thor however this was my first time seeing him with some actual depth in a role, and I must say it was far from a dissapointment. But honestly all around everybody involved had a rather stellar performance. What a pair of lungs on Cynthia Erivo, who plays Darlene Sweet. A very unsuspecting twist with Lewis Pullman and man did he hold it down. Truly nobody was who they seemed while everybody had so much more character than you initially expect. And this cast pulled it all off amazingly. Some of the filming techniques were very cool. With that being said watching this was like something out of a Tarantino film ‘How to‘ book, I guess it would be a movie? I heard some gripes about it being cliche in that it was very basically done in his style, but I really couldn’t understand the complaint. I felt like it was true and consistent to the technique. The pacing of this film was truly a masterpiece of its own. It bounced around from room to room without ever being annoying or relaping in to much of the same information over and over again, something like the movie Vantage Point tried to do and failed rather miserably with. 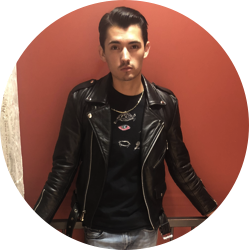 There is tons of catchy music true to the time period and the twists start extremely early. It is sure to grab your attention and hold it till the end. Overall I’m not sure how many good things I can say about this film. Especially for a 2 hour and 21 minute film it felt like the time flew right by. It is a little bloody and some gunshots may have caused me to jump here and there but aside from that this should be a film you can’t take your eyes off of till it’s over.